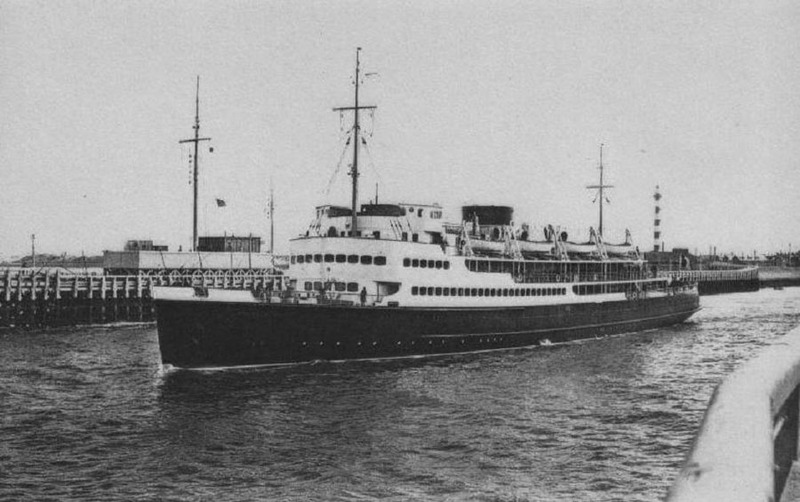 Steel twin screw motor vessel, built and engined by Cockerill’s of Hoboken in 1937 (Yard No. 651) for the Belgian Marine Administration’s Ostend service. 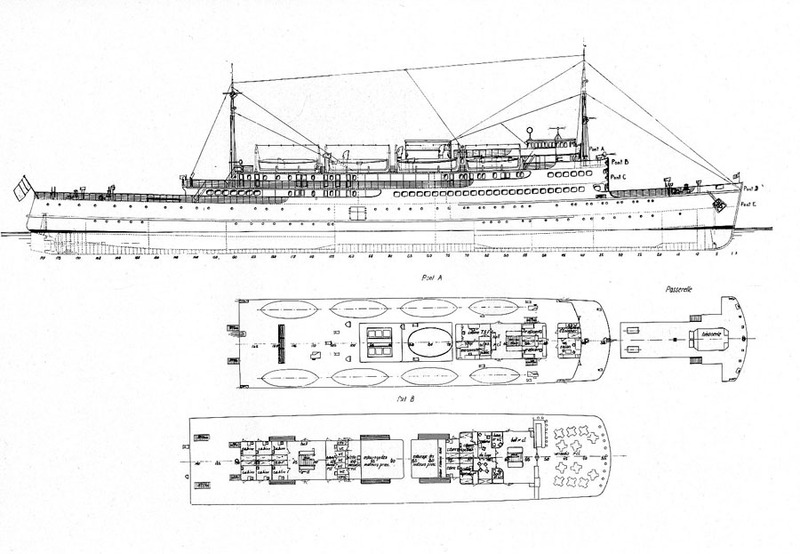 April 23rd 1937: Launched by the King of the Belgians in a joint ceremony with the cargo liner MOANDA. 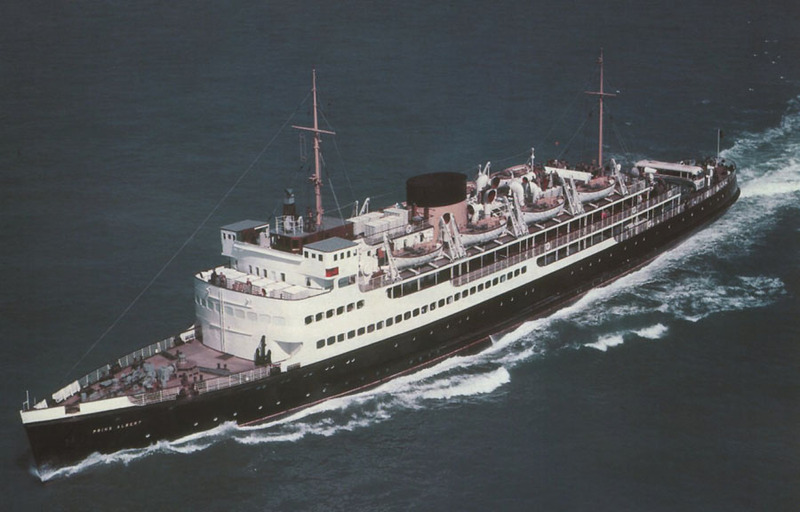 September 1937: Delivered to till Belgian Maritime Transport Authority, Oostende, Belgium. 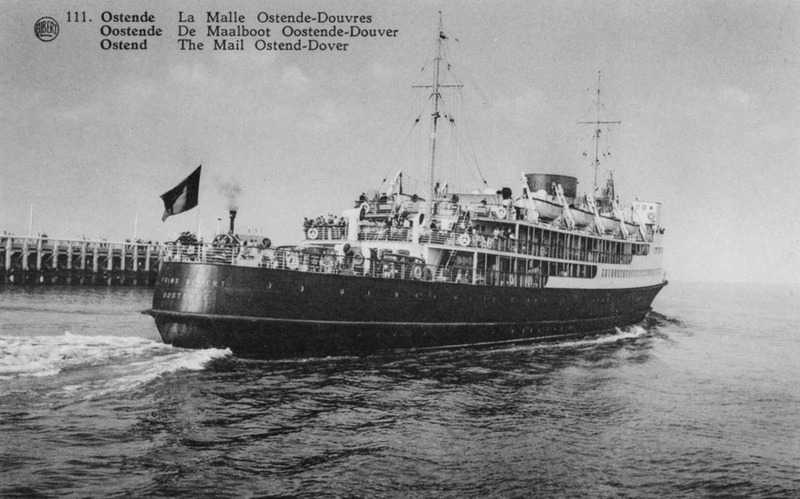 October 4th 1937: Commenced service between Ostend – Dover. 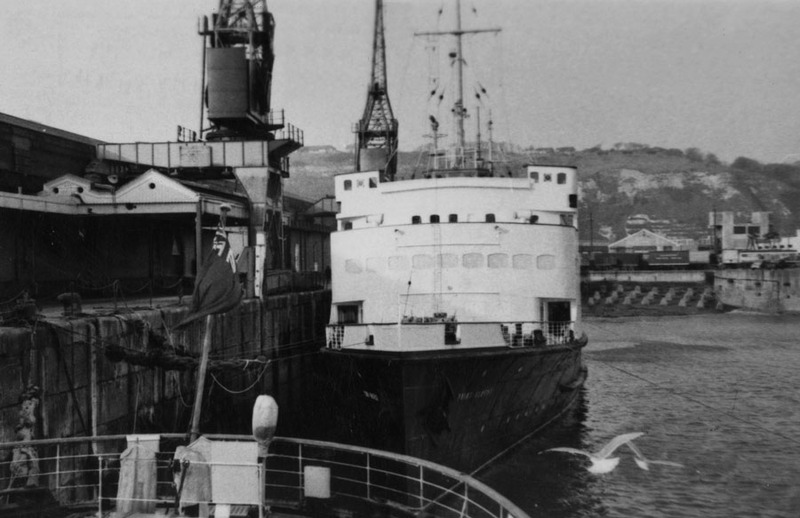 May 18th 1940: When Germany invaded Belgium she left Ostend for Southampton via Le Havre carrying refugees. May 28th 1940: Taken over by the British Ministry of War Transport. 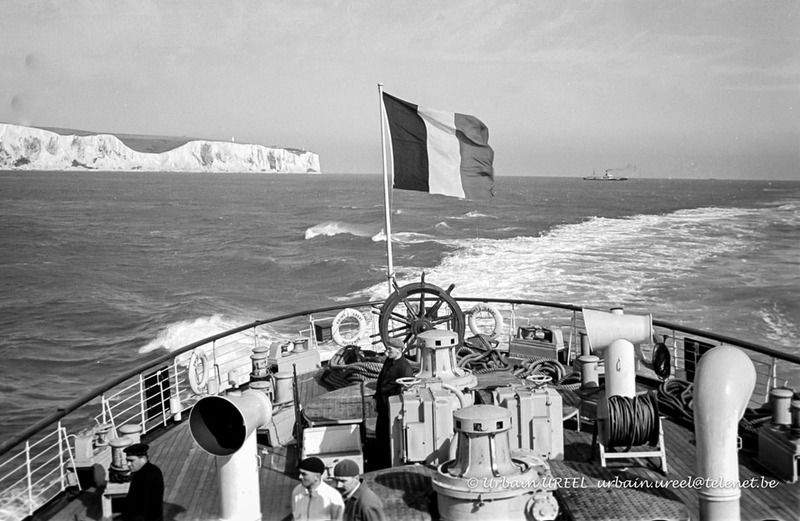 June 1940: Operated as a troop-transport between England – Cherbourg – Brest – St. Malo. July 1940: Requisitioned for air target use. 1940: Rebuilt at Harland & Wolff, Southampton. 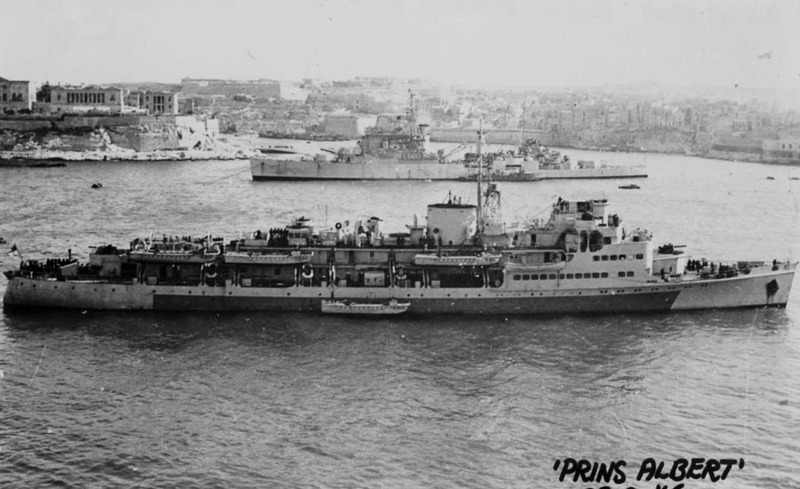 January 1941 – September 30th 1941: Rebuilt as a armed auxiliary transport at Penarth Pontoon Slipway & Ship repairing Co and renamed HMS PRINS ALBERT. December 26th 1941: Took part in combined operations such as on the Lofoten Islands in Norway. 1942: Took part in the Canadian attack on Dieppe. 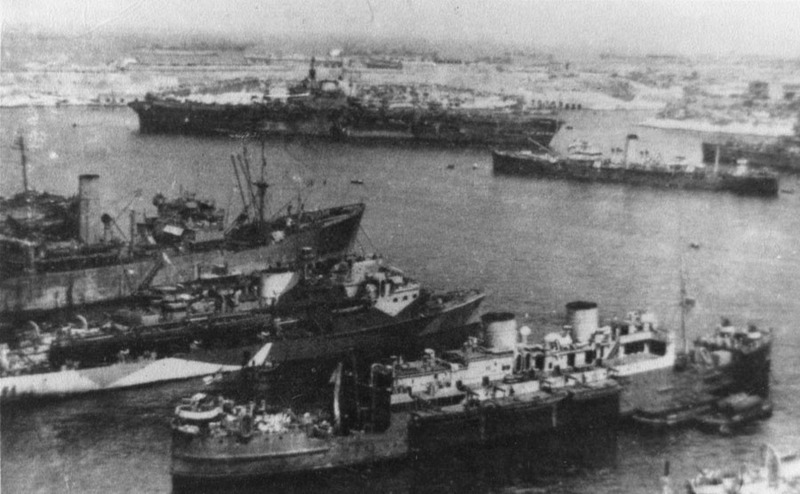 May 1943: Left for the Mediterranean Sea. June 1943: Took part in the invasions of Italy and Sicily. October 1943: Returned to England. June 6th 1944: Took part in the Normandy landings (Omaha Beach). August 15th 1944: Took part in the landings in Southern France. 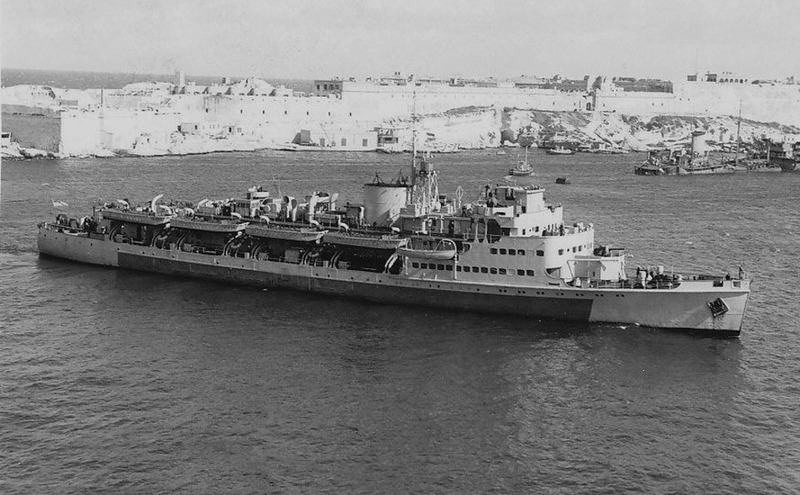 October 1944 – December 1944: Commenced service, once more, as a troop-transport. 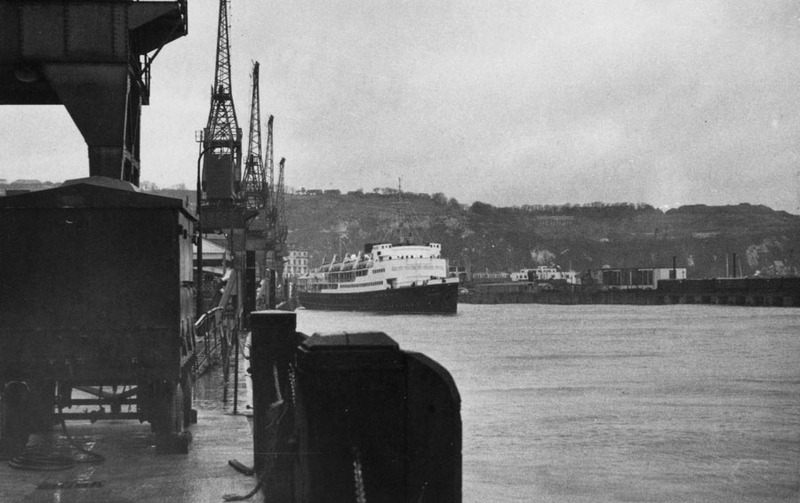 December 1944: Refitted in Greenock. 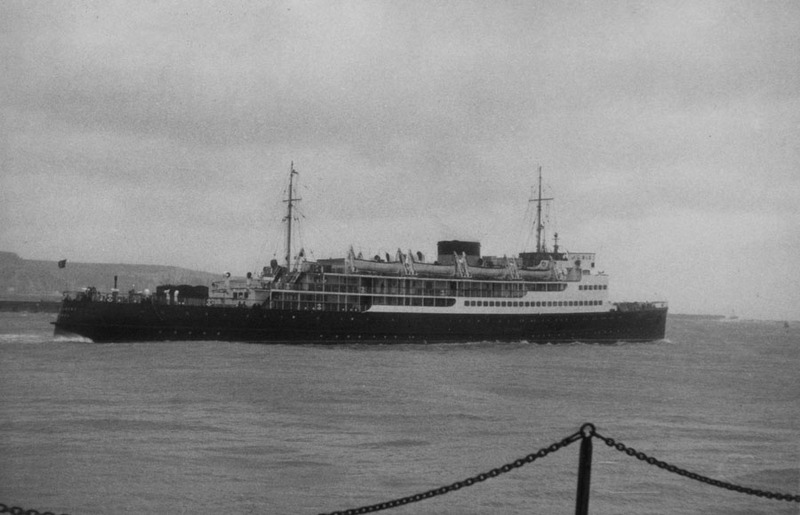 January 1945: Left England for India. May 2nd 1945: Took part in the capture of Rangoon. 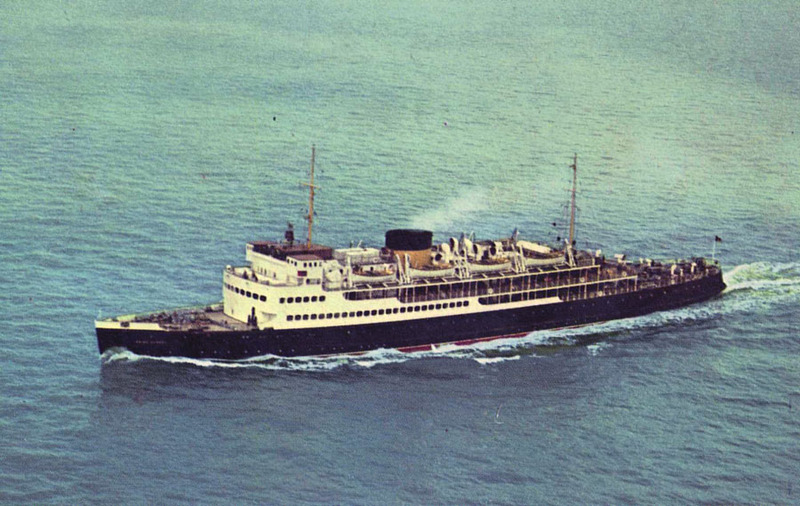 February 9th 1946: Left Bombay for England. April 26th 1946: Left England for Belgium. 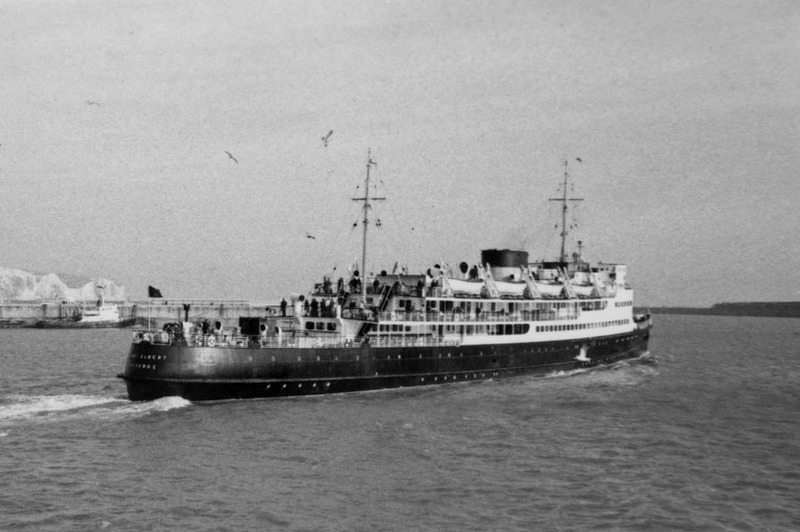 May 1946 – June 27th 1947: Refitted and refurbished at Cockerill, Hoboken, Belgium. 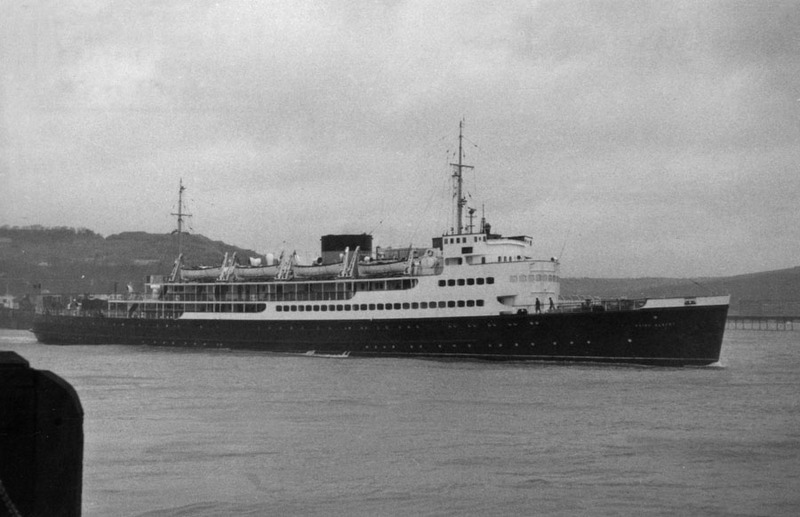 May 28th 1947: Whilst being refitted suffered a fire. 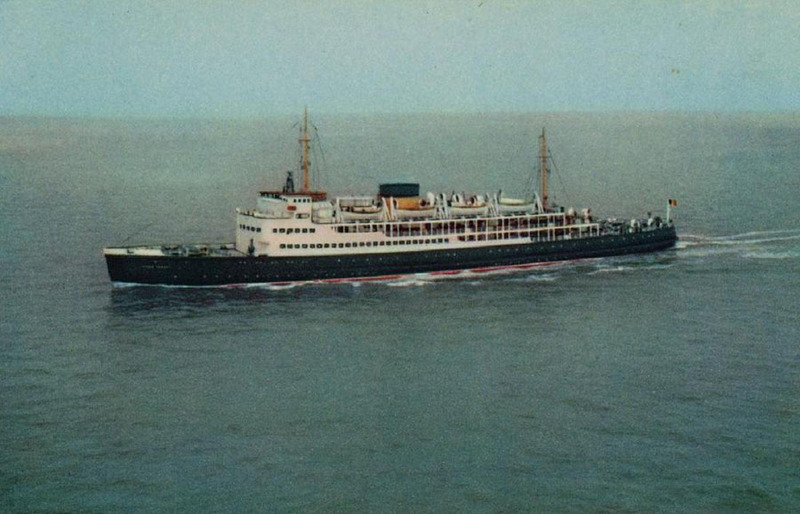 June 28th 1947: Recommenced service between Ostend – Dover. August 1966: Laid up in reserve. 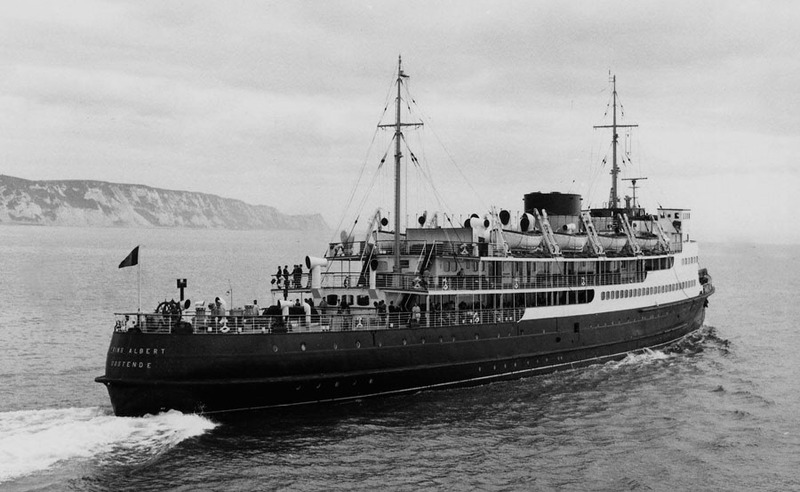 However, continued to sail on most weekends in the summer season between Ostend – Folkestone and Dover. 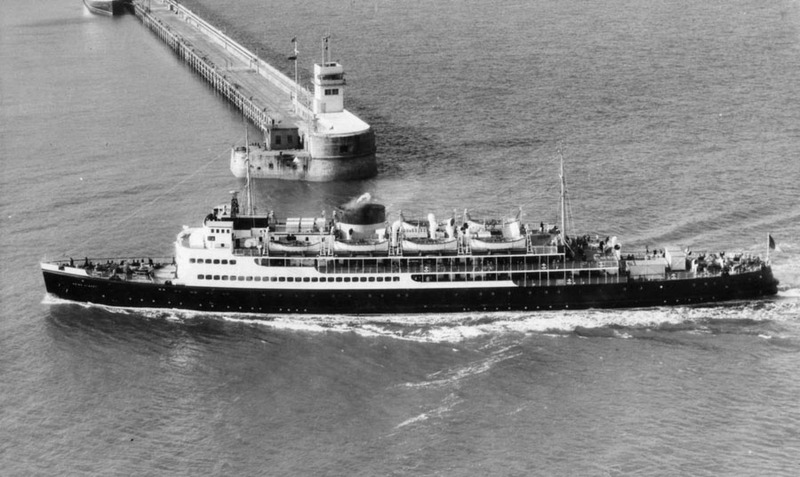 September 7th 1968: Made her last sailing and withdrawn. 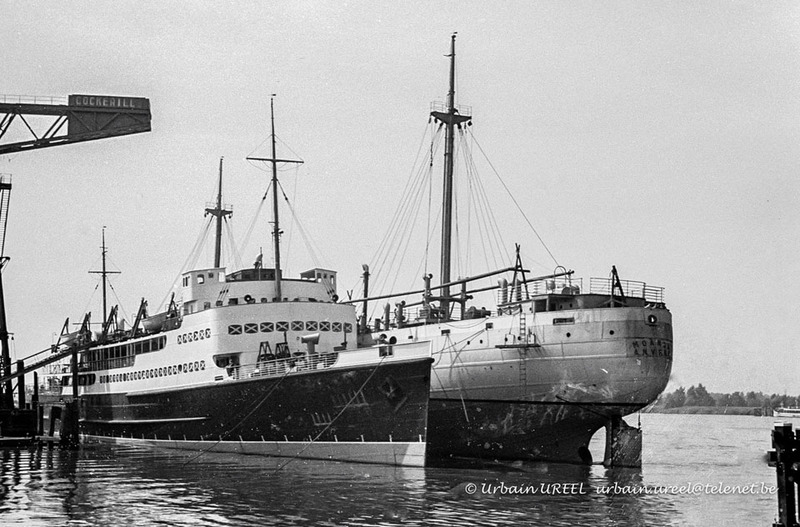 1969: Laid up in Ostend as a “dead ship”. 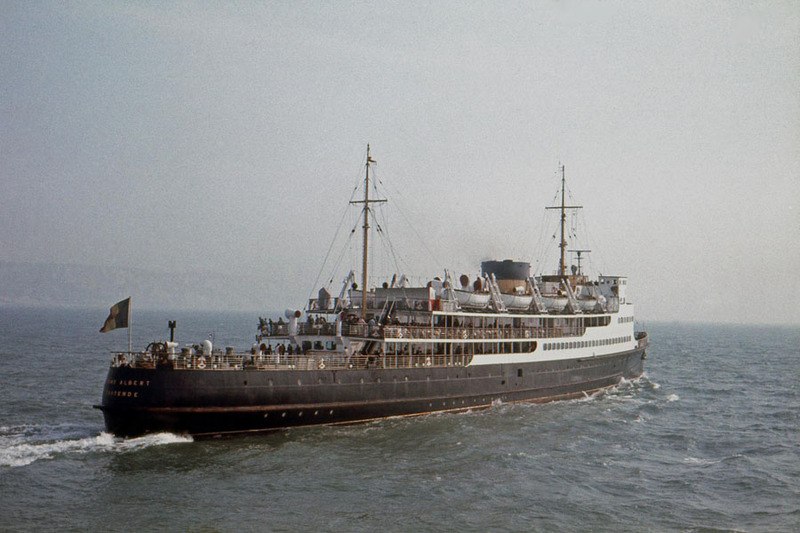 May 25th 1970: Sold to Van Heyghen Freres, Belgium for scrapping. June 21st 1970: Scrapping commenced.